Private Joseph Tyrer pictured at the start of WWI. 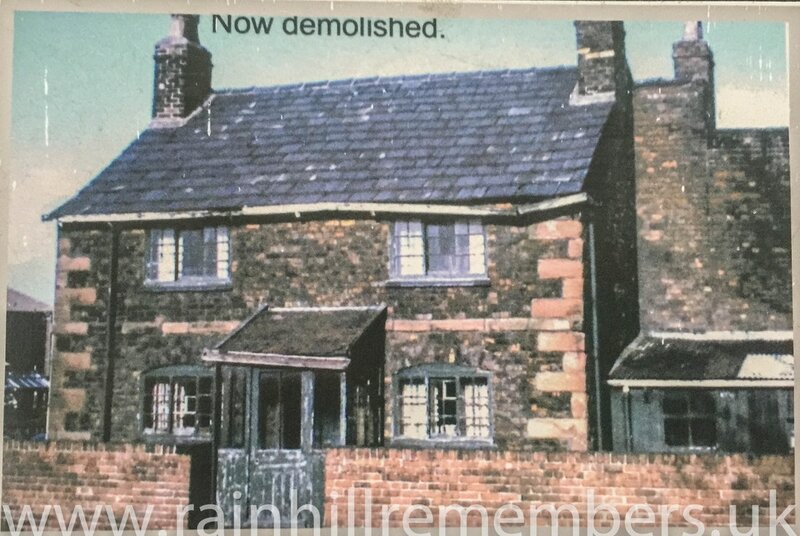 ​Joseph Tyrer was born in 1894 and lived in Stoney Lane Farm. He was the youngest child of John and Esther Tyrer who had 3 daughters and four other sons, all of whom worked on the farm. ​He enlisted in Preston as Private 01692. Royal Veterinary Corps. The Corps was responsible for the medical care of animals used in the army - predominately horses, mules and pigeons. During WWI the Corps was reorganised to provide a mobile Veterinary section as part of each division that went overseas. 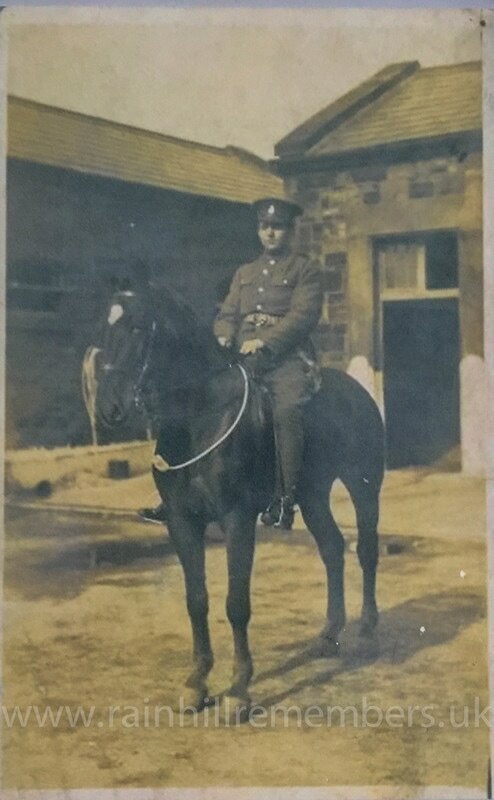 With his farming background, Joseph must have felt he was suitable for a veterinary unit. 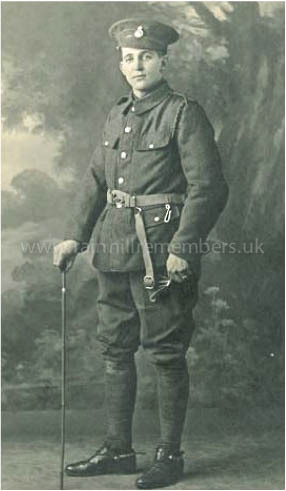 later Joseph became a gunner (No 231218) in the Royal Garrison Artillery. 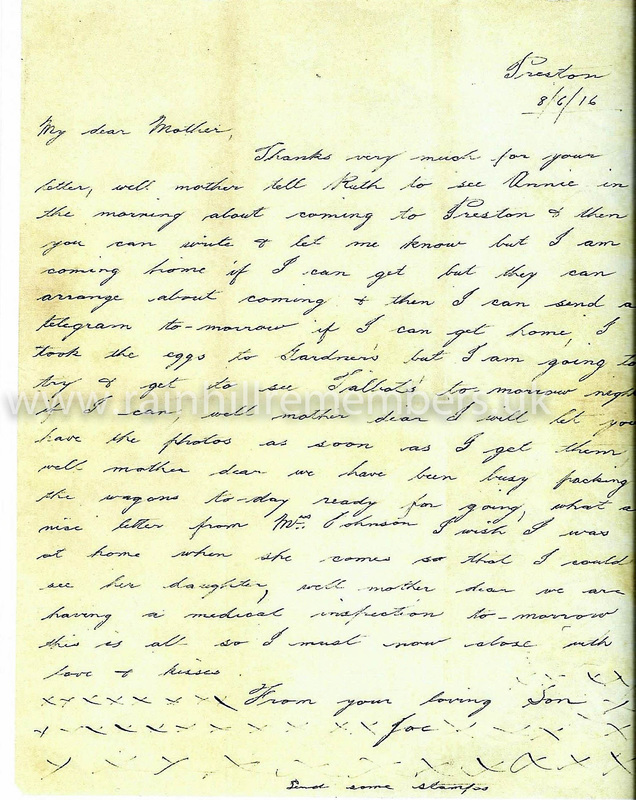 Joseph wrote home to his mother before leaving for France. 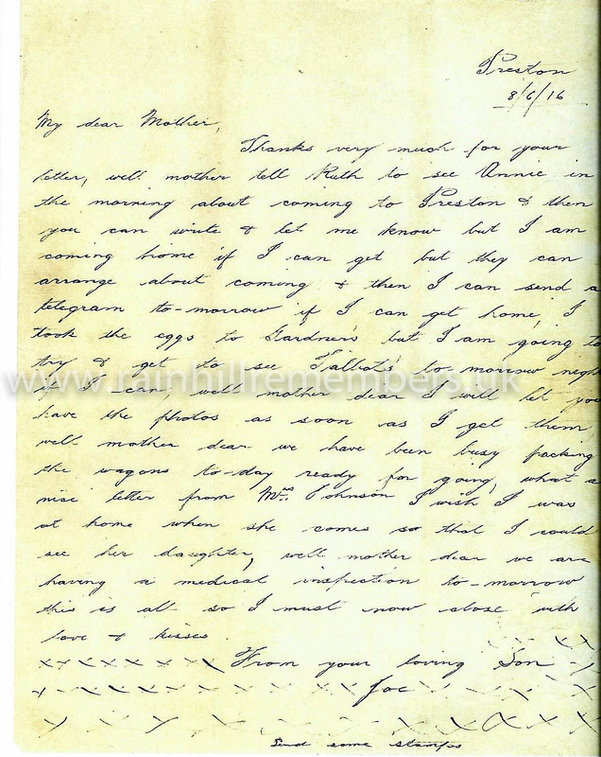 On 20th June 1917, he married Annie Taylor and they had a son called Joseph, born 14th April 1918. The Tank Corps was formed on 27th July 1917 with each Battalion comprising of 32 officers and 374 men. At some stage, Joseph must have transferred to the Tank Corps, 12th Battalion. Tanks were increasingly being used during the Allied Advance from the early summer of 1918 when 604 Allied tanks assisted in a 20 mile advance on the Western Front. Between August and November 1918, 2400 men became casualties and Joseph died just one month before the Armistice was signed. 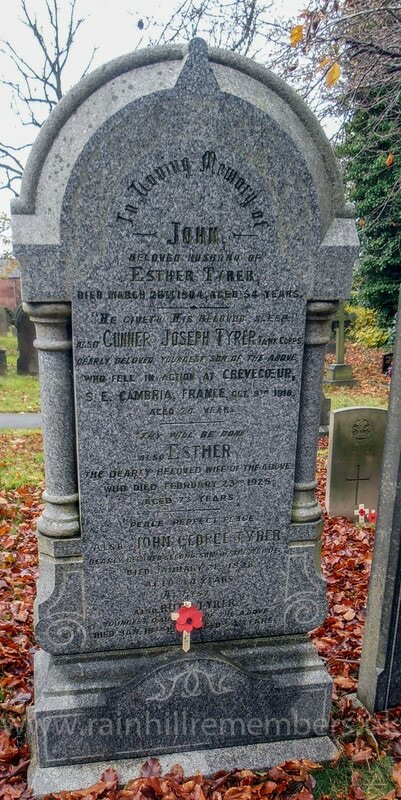 Private Joseph Tyrer, 112819 was killed in action at Crevecoeur on 8th October 1918, aged 24 and he is commemorated on Prescot Grammar School's Roll of Honour and on the family grave in St. Ann's Churchyard. He is buried at Marcong British Cemetery in France and was awarded posthumously the British War Medal and the Victory medal. 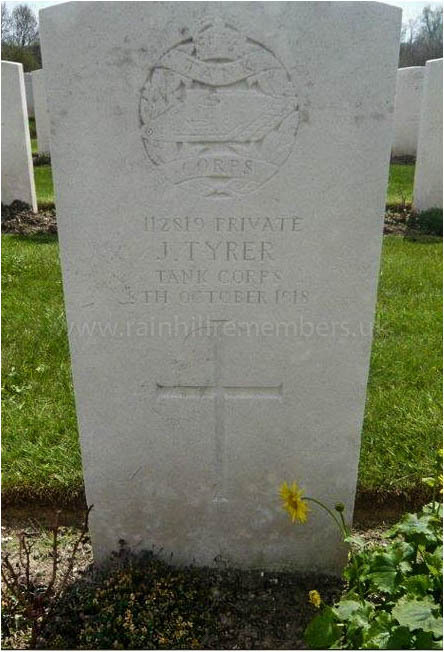 The CWGC grave stone of Joseph Tyrer.